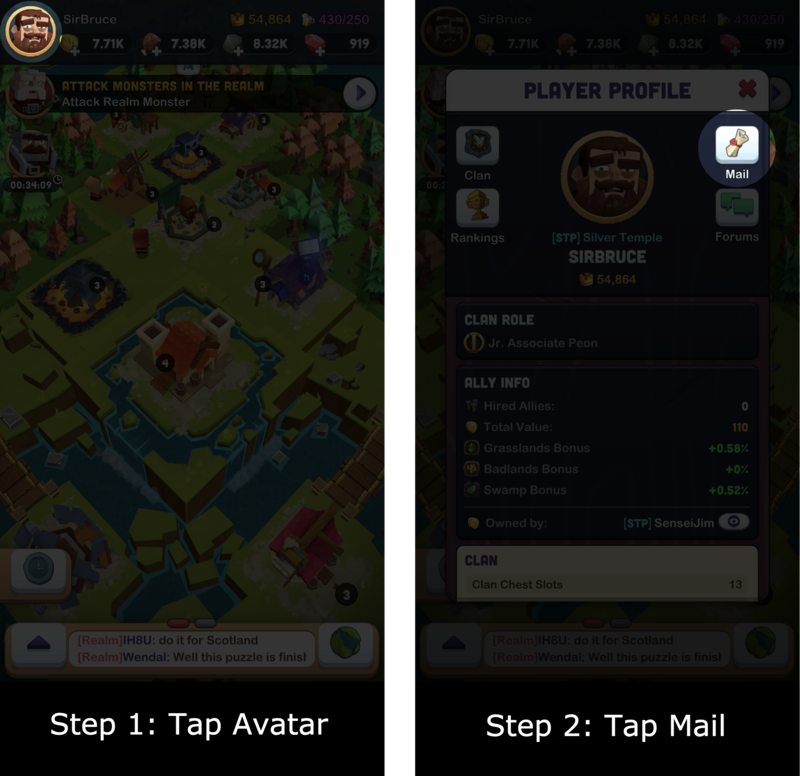 Open Kingdoms of Heckfire and tap on your Avatar in the top left corner of the screen. You will need to complete the Tutorial first. Tap on the Mail button. Tap on the New Message button. 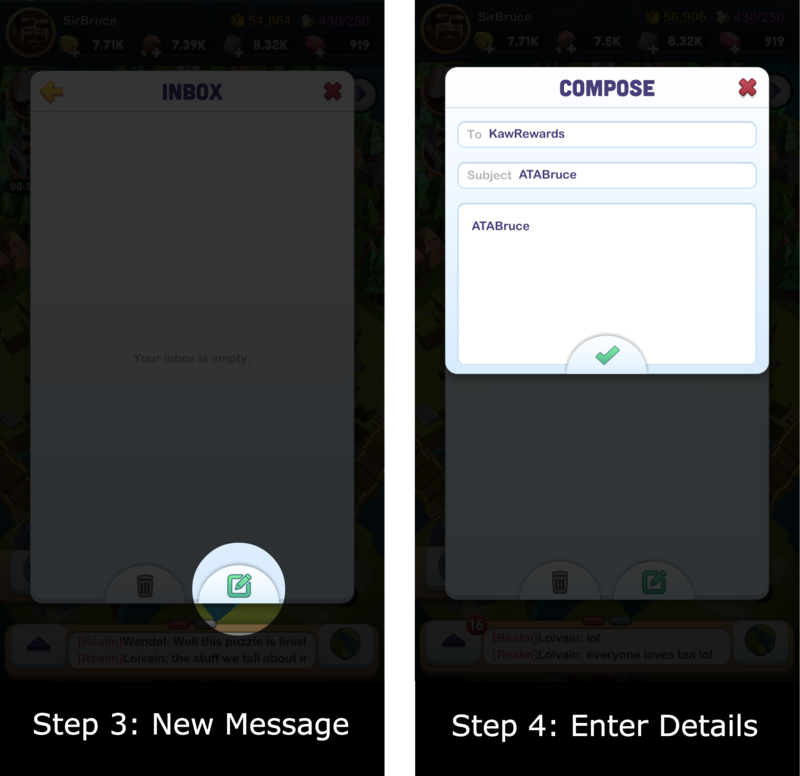 Enter the following details in the New Message fields, excluding the square brackets and taking care to type everything correctly. DO NOT change your KaW username before you receive your rewards this Friday. You MUST type your name EXACTLY as it appears in KaW. Capitalization, barcodes, etc must match. You will receive your Heckfire rewards in KaW shortly after NOON PT on FRIDAY DECEMBER 8TH. Ooohhh. Why not just use ATA login ? Ok it’s a start, but what about the issues you need to address in THIS game? Ie: transmuting the last two events EQ? Upgrading Black Friday weapon with aqua and inferno? Green-Echo4Legend wrote: Ok it’s a start, but what about the issues you need to address in THIS game? Ie: transmuting the last two events EQ? Upgrading Black Friday weapon with aqua and inferno? Was just about to say that, still can’t transmute my last two event items. bEdIam wrote: Ooohhh. Why not just use ATA login ? This would have worked for some, but would have been impossible for players who have an ATA ID linked to both their Heckfire account and a KaW account they don't want the rewards on (or at least not the account they do want the rewards on). Charlie will give you an update on this! In the mean time let's keep this thread on track for questions related to the Heckfire promo. I got the rewards on my KaW account buy on my heckfire account didn't receive anything is that normal? JuDgE_AlenRP wrote: I got the rewards on my KaW account buy on my heckfire account didn't receive anything is that normal? There was a window of time where you had to grab the Heckfire rewards from the Heckfire store (the bundles were called Apple Box Chest or Android Box Chest, depending on your device). Those are no longer available, but if you message support within the Heckfire app they may help you out! Appreciate you giving us a fix for the problem.